The project has involved renovating the existing bridge structure from the 1970s by reinforcing the transverse beams, replacing columns and reconstructing edge beams, as well as building an adjacent new bridge structure. 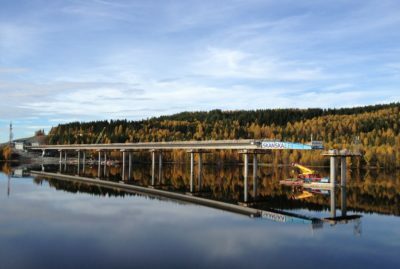 The new bridge is part of the E16 motorway west of Oslo. 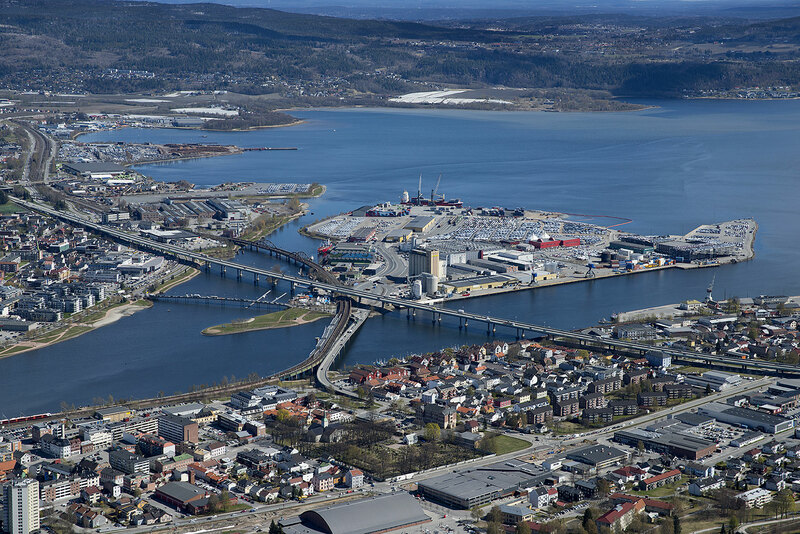 The bridge crosses the Drammen River and areas of land at either side, i.e. at Bragernes and Stromsø. The project has a high aesthetic profile, and the visual aspect was considered extremely important, because the width of the bridge would be doubled. One of the strategies used to make the bridge lighter and brighter visually was to replace the rectangular columns on the existing bridge with the same round columns as on the new bridge. 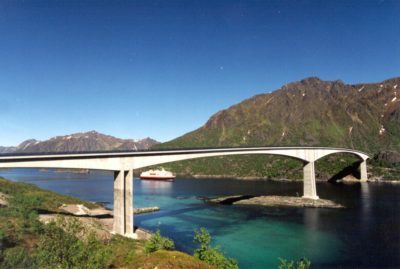 The superstructure soffit was also clad with a curved aluminium cladding which brightens the appearance and also binds the two bridges together visually, so that they look like one bridge. 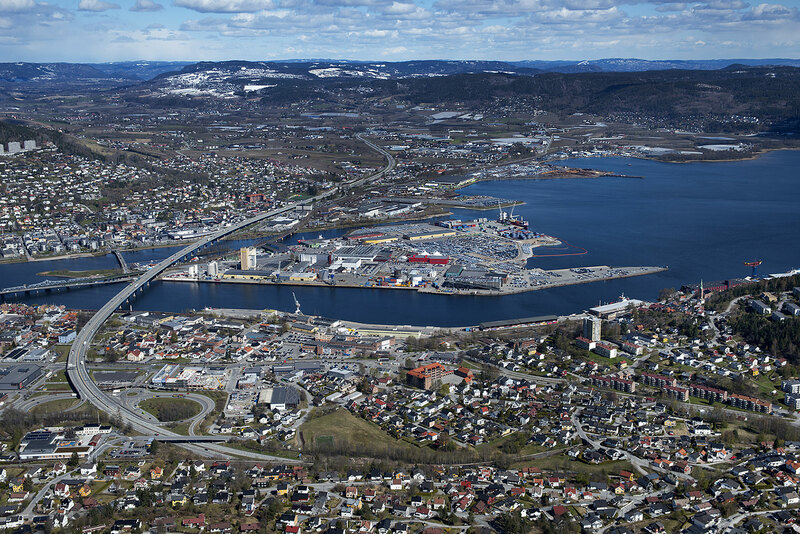 Aas-Jakobsen has acted as the lead consultant on the project through the architectural competition, and provided detailed planning and construction planning, as well as supervision and construction management during the construction phase with contributors from the network (Vianova Plan & Trafikk, Geovita, Electronova). 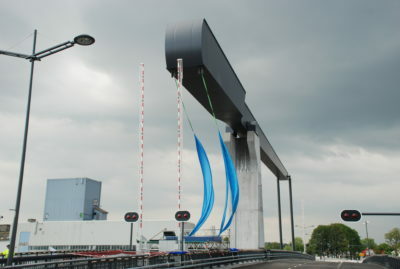 The chosen solution involved building a box girder bridge of the same type as the original, as close to it as possible, and then connecting them visually by the underside cladding. The underside cladding consists of aluminium sandwich plates which were attached to a system of steel frames fixed to the bridge structure. 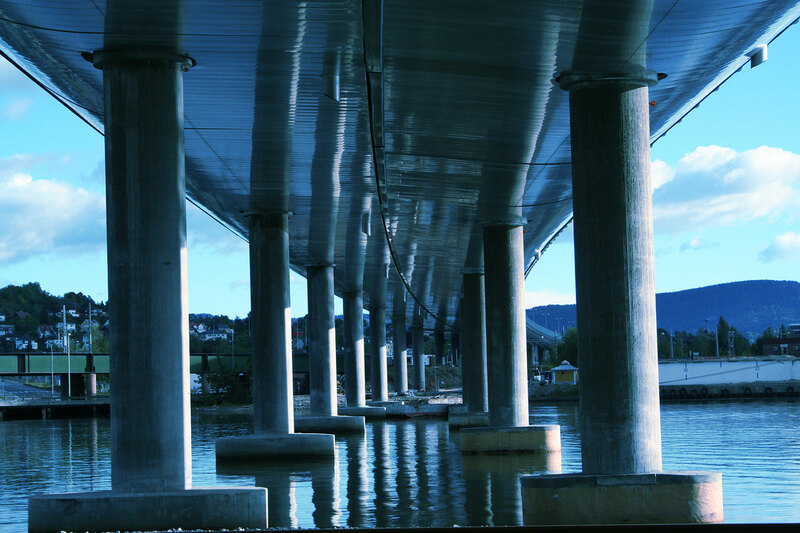 The columns under the bridge are round, to give the bridge a more streamlined appearance. By using minimised capitals, the columns appear to go right up into the deck, even though there is actually room for two bridge bearings at the top. The project involved several technical challenges, such as pile driving with friction piles immediately adjacent to existing floating pile groups, replacing columns, minimising capitals, low box section heights, and only two expansion joints, as well as a specially developed and modified underside cladding. All the challenges were resolved extremely well, thanks to the excellent teamwork between the Consultant, Client and Contractor. 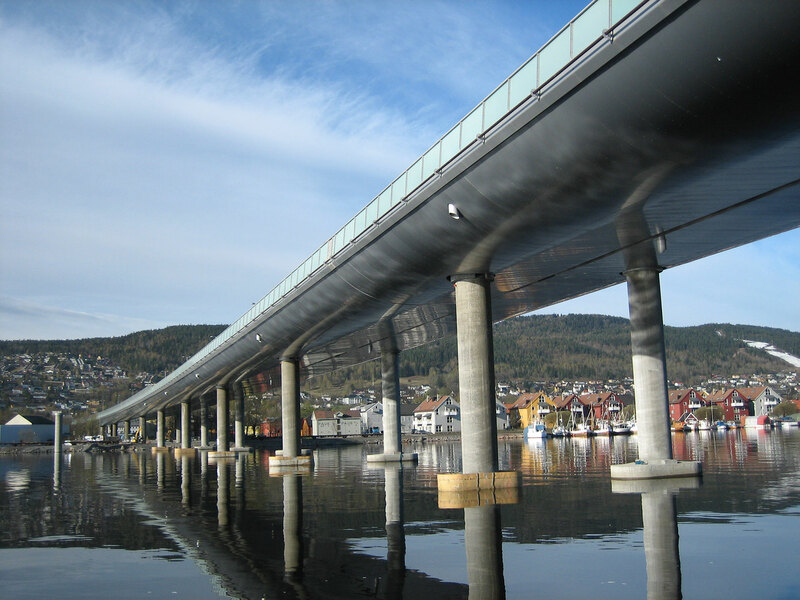 Widening of the longest bridge structure in Norway from 2 to 4 lanes, by building a parallel bridge adjacent to the old one, and then connecting them visually by the underside cladding in aluminium. Building cost ca. 800 MNOK, design cost ca. 30 MNOK.